The Gas Mods 3 in 1 Drip Tips for your reconstructable Atomiser or Clearomiser are proposed in a box of 3, for a choice of colours. 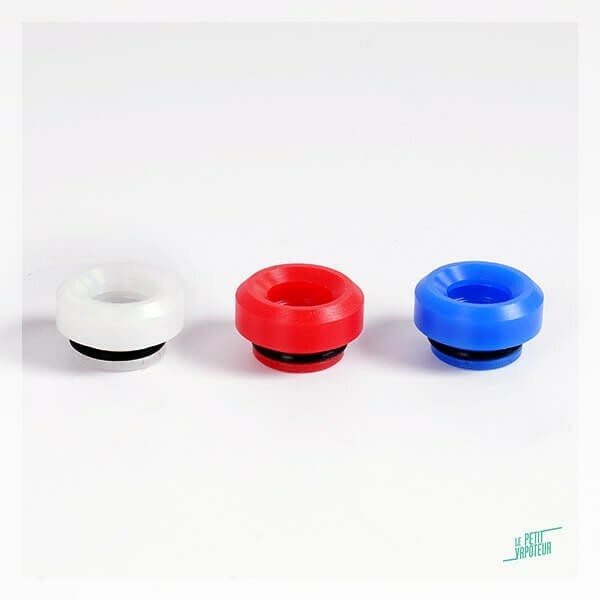 Made in different polymers, PC, PEI, or POM, the Gas Mods Drip Tips are compatible with all Atomisers and Clearomisers are standard 810 or 510. 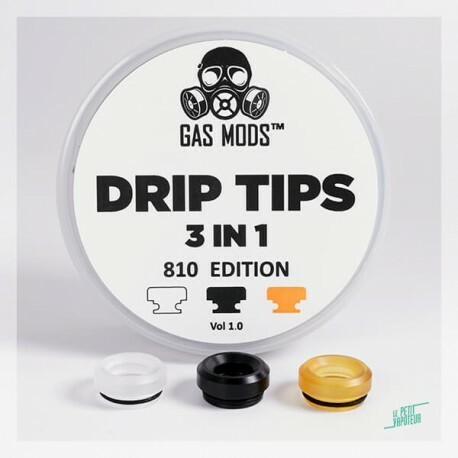 The Gas Mods Drip Tips are sold by 3 and presented in a box. 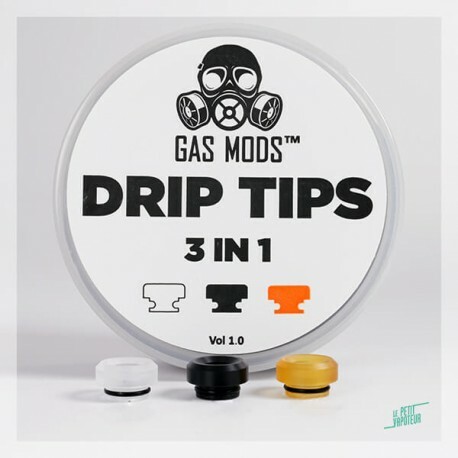 The Gas Mods Drip Tips are made by Gas Mods. The 3 in 1 Drip Tips by Gas Mods allow you to modify the look of your Atomiser and vary the rendering of flavours and vapor of your material (Atomiser and Clearomiser). The Gas Mods Drip Tips are made in different Polymers resistive to heat: POM, PC, PEI. They are compatible with the standard 510 and 810. 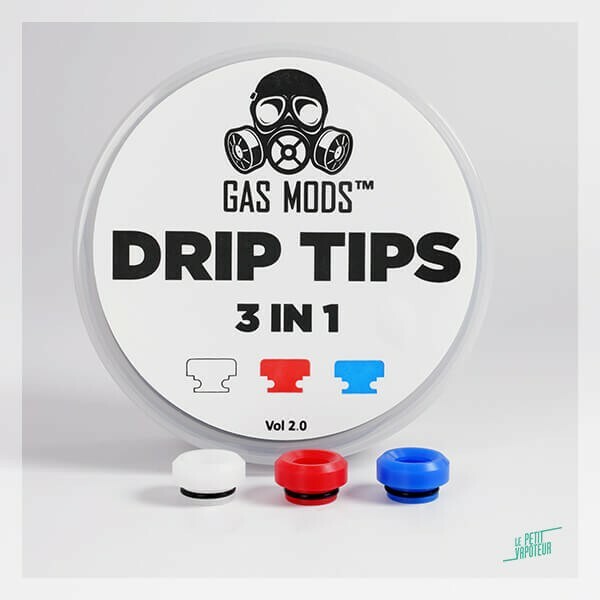 The 3 in 1 Drip Tips are made by Gas Mods. 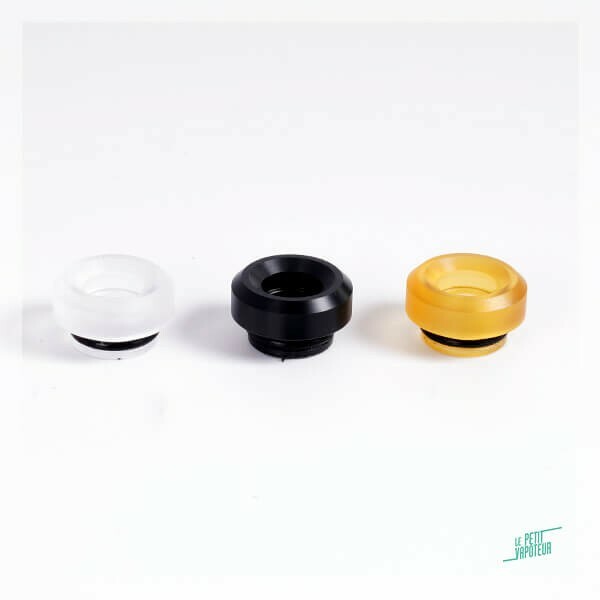 "Drip tip minuscule vraiment inutilisable"
"Beau packaging, les drip tip sont nickel. Attention ils sont très petits"
"Jolie mais trop à fleur d'atomiseur donc dès que ça chauffe c'est pour les lèvres." "Des drip tips sympa, réservé pour ceux qui n’aiment pas des protubérances de 3km sur leur ato."